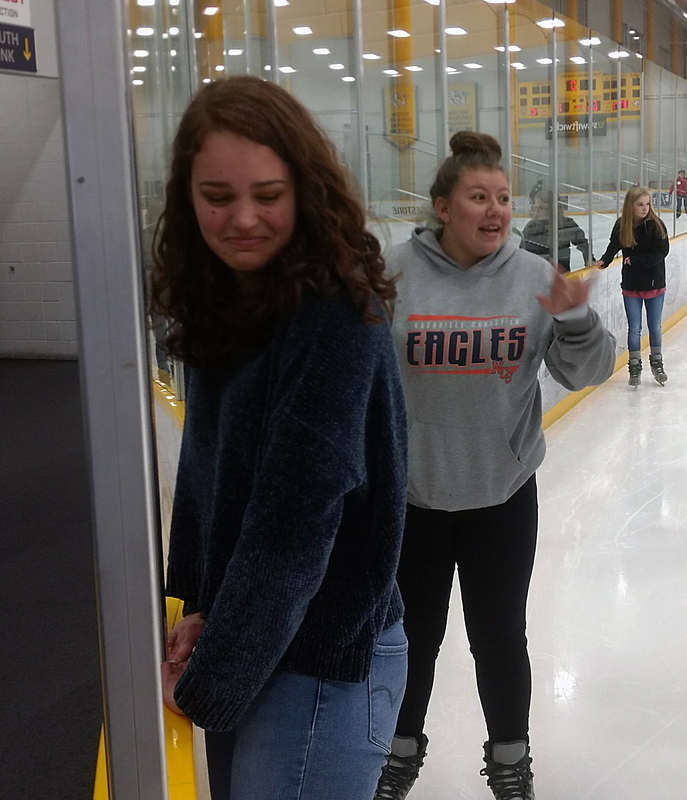 Wait, the journalism class got to go ice skating?? Why? That’s not fair! Ugh, we never get to go on cool field trips. We did get to go ice skating, but the trip wasn’t all fun and games. The skating was preceded by a lengthy lecture. 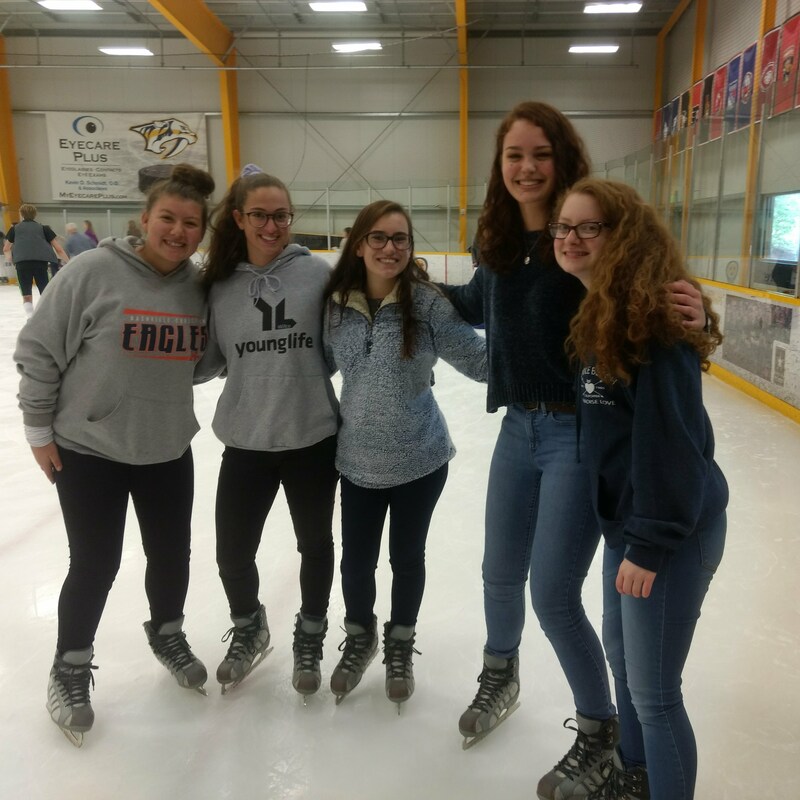 On Wednesday, April 18, Mr. Atkins and his 5-person journalism class left school at 8 and rode the bus to Ford Ice Center. Once there, we listened to a lecture about the newest trends in yearbook. The speaker was yearbook expert Mike Taylor. He told us yearbook dos and don’ts. He was a very interactive speaker. “The speaker gave money to people who answered his trivia questions,” said junior Hope McWright. He handed out a dollar to the first person to answer each trivia question. They were pretty random questions, too. One, for example, asked what object did 50% of women over age 21 say they wouldn’t get rid of even though they no longer use it. The answer was wedding dress. “I like that I got seven dollars,” said junior Taylor Lile. After the presenter gave his advice for managing a yearbook staff and building a better yearbook, the students dispersed and ate pizza for lunch. After lunch, everyone was given a pair of skates and free reign of the skating rink. 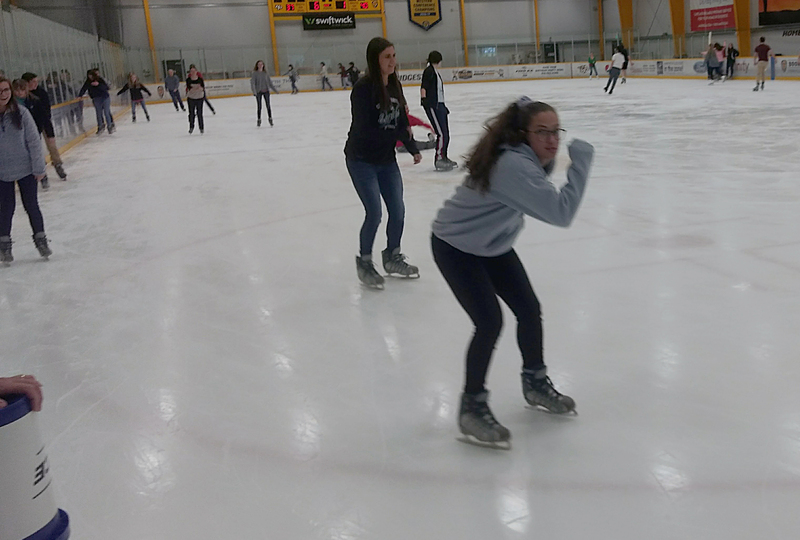 “It was an interesting experience for me because it was my first time ice skating. I knew I was gonna fall at some point but I didn’t expect it to be so quickly. I still had a great time,” said junior Kali Natali. After her first big fall, she decided she’d enjoy herself more sitting on the bench watching the rest of the class try to skate. Upon hearing this, Mr. Atkins immediately said, “Never gonna happen.” We’ll have to see about that.